In this part of the lesson, you'll animate the shaking of a cartoon juice blender. The blender image is built in several layers. 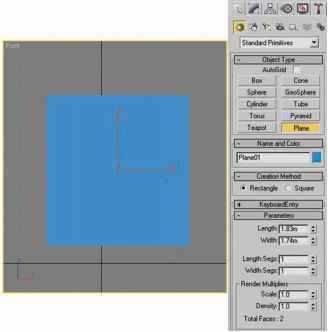 You'll create animation frames that alternate between hiding and showing two of those layers, representing different positions of the blender pitcher. 1 Choose File > Open, and open the file Blender.psd from the Lessons/Lesson16 folder on your hard drive. In the Animation palette, a single default frame appears, showing the current state of the image. The frame is selected (outlined with a border), indicating that you can change its content by editing the image. In the Layers palette, an eye icon (») appears next to Layer 1, indicating that this is the only visible layer in the image. 2 In the Animation palette, click the Duplicate Current Frame button (j) to create frame 2. 4 In the Animation palette, make sure that Forever is selected in the Looping pop-up menu in the lower left corner of the palette.